The city contracts exclusively with CR&R for trash, green waste/organic and recycling disposal. To establish new service residential customers must contact the City of Colton Customer Service Department at (909) 370-5555. To establish commercial services businesses must contact CR&R directly at (909) 370-3377. The current rates can be found here. The following items are considered hazardous waste and CR&R cannot collect household hazardous waste as part of your regular garbage or recycling collection. Visit: http://sbcfire.org/ofm/hhw/HouseholdHazardousWaste.aspx for more information on hazardous disposal. Hutton Center 660 Colton Avenue Monday-Friday, 8:00a.m.-2:00p.m. Luque Center 292 East O street Monday-Friday, 10:00a.m.-1:00p.m. 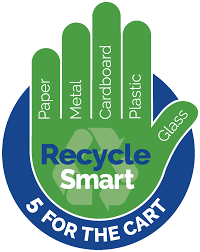 With the passage of Assembly Bill 341, businesses and public entities that generate four cubic yards or more of waste per week and multifamily complexes with five or more units are required to recycle. Please contact the City of Colton Recycling Coordinator at (909) 264-2321 for more information to get your business into compliance with AB 341. Opportunities for Colton businesses or Colton multifamily complexes to	save money. Creating a healthy environment for the City of Colton and	future generations by recovering natural resources. On or after April 1, 2016, a business that generates eight cubic yards or more of organic waste must recycle that material. This will decrease to four cubic yards of organic waste in 2017. In 2019 all businesses with 4 or more yards of solid waste per week will be required to participate in organic waste recycling. Please contact the City of Colton Recycling Coordinator at (909) 264-2321 for more information to get your business into compliance with AB 1826. Grass Cycling is a popular trend to home lawn care that refers to leaving grass clipping to sit on top of grass after lawn mowing. and uses as a natural fertilizer. Organic compost is Organic matter that has been broken down by microbes. compost is a key ingredient in all soils. it improves sandy soils, encourages beneficial microbes and earthworms, increase nutrients, and improves soil texture.